Its Fringe Fest time in Philadelphia! 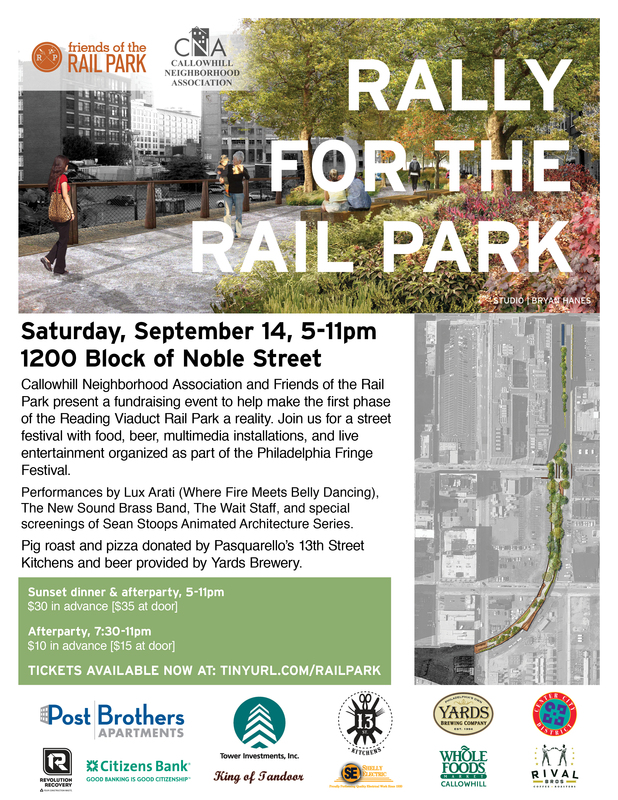 We’re excited to be participating this year at a fundraiser/awareness event for the new Reading Viaduct Rail Park. We’ll be spinning fire around 9:00pm as part of the after party. It sounds like it is going to be a pretty fun event. Come on by!! The whole after-party will be 7:30-11pm. Tickets can be bought here, $10 in advance, $15 at the door. Previous PostFun bonus video!Next PostSummertime recap is coming, I swear!